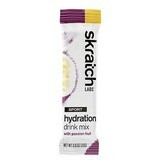 Single serving size of your favorite Skratch Sports Hydration Mixes. 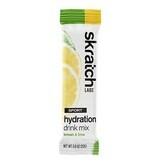 Great for traveling and quick on the go hydration. 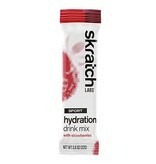 This is a sports drink containing simple sugars, electrolytes, and only real fruit for flavor. 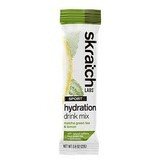 It was originally developed for professional athletes who were dissatisfied with the sports drinks available to them. 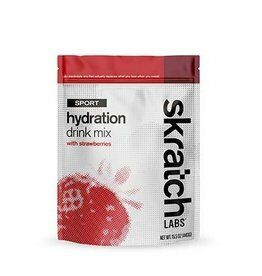 We started tinkering in our kitchen and in the field, making our own drink mix from scratch without any coloring agents, artificial sweeteners, synthetic flavoring agents, or other excess chemicals. 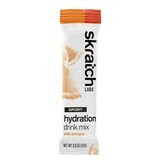 The result is light tasting no-nonsense sports drink, that you can drink anytime you're sweating.